If you're interested in a new 2019 Subaru model or used car and live in Detroit Lakes, Perham, Pelican Rapids, or Frazee, your search ends here! R & G Subaru has a stellar lineup of new and used cars, including the new Subaru Outback, Forester, Legacy, Impreza, Crosstrek, the All-New 2019 Subaru Ascent SUV and much more. Our Subaru dealership is eager to share with you all we know about these incredible vehicles, and with so many options to choose from, we know you'll need all the insight and expertise you can get to help you decide. 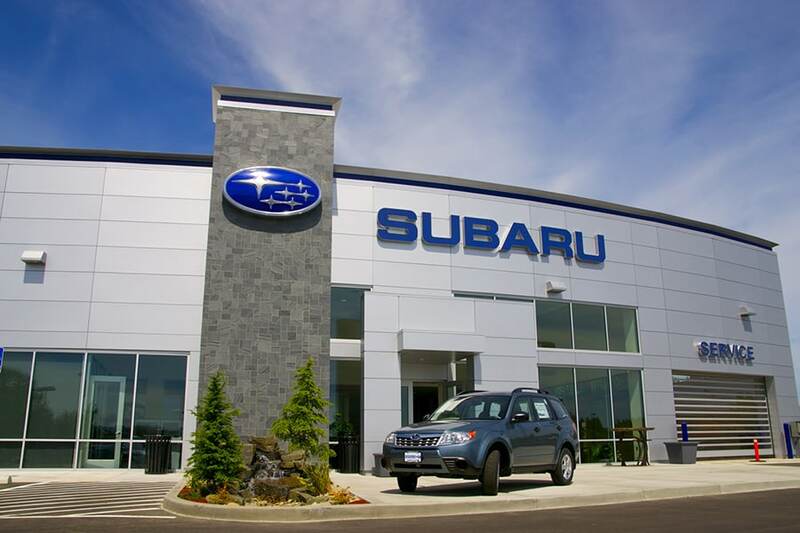 Our new 2019 Subaru inventory, certified used cars, and other used vehicles are ready and waiting here at our Subaru showroom at 1140 US-59 S. in Detroit Lakes, Minnesota. Our Subaru experts are at your service to share complete specs of the cars you're interested in, compare different models, and arrange test drives. Whether you're looking for new, certified pre-owned, or something else, R & G Subaru is the Detroit Lakes car dealership that has it all! We proudly serve drivers from Detroit Lakes, Pelican Rapids, Perham, and Frazee, MN. Auto Loans, Subaru Leases, Auto Service & Subaru Car Parts, R&G Subaru Has it All! Once you have found the perfect vehicle, R & G Subaru can help you secure an auto loan or Subaru lease that works for you. Our finance team can get you the car loan or lease in Detroit Lakes that fits your budget. The experts here will make the process simple and easy to understand while ensuring you get the best rate possible. We want you to drive off in your new Subaru feeling 100% secure with your purchase and will work hard to make sure this happens. If you purchase a new Subaru car at R & G Subaru we want to make sure your car stays in like-new condition. Our Detroit Lakes service center can provide manufacturer maintenance and if anything were to ever happen to your car, our Detroit Lakes car repair center will quickly get your car back on the road. If it's Subaru car parts you need, our parts specialists can assist you in picking out the correct part and quickly order it. Turn-around time for parts orders is often the same day! Thank you for considering R & G Subaru. If you would like more information on our Subaru cars, stop by our dealership at 1140 US-59 South. If you need directions to our Subaru dealership, click on Dealership: Directions. We are always available by phone during normal business hours so give us a call today at 877-336-7574.